These necklaces are shorter in length than previous ones. 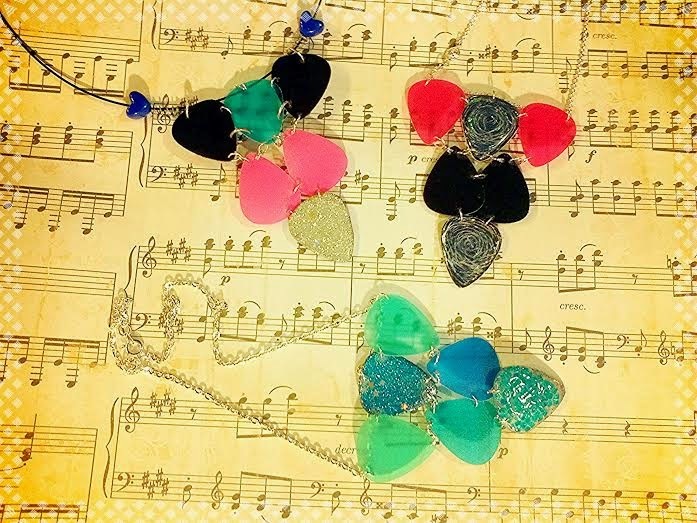 Top left features pink, black, teal picks with a silver glitter pendant on a black cord with blue heart beads. Top right features red, and black with Scratch Magic Board pendants on a silver colored chain. Bottom features different hues of blue pick with a glitter pendant and blue light catching pendant on a silver colored chain.